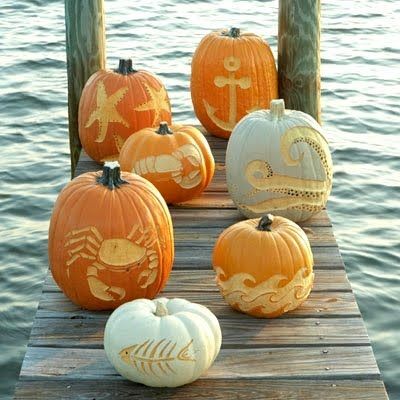 Coastal Living magazine… fabulous nautical-themed carved pumpkins. 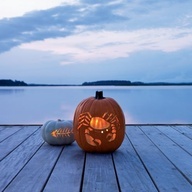 With Halloween fast approaching I got busy carving my pumpkin. 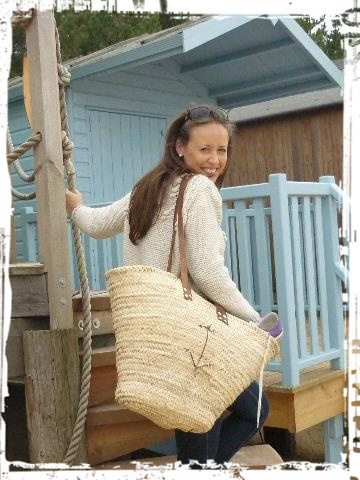 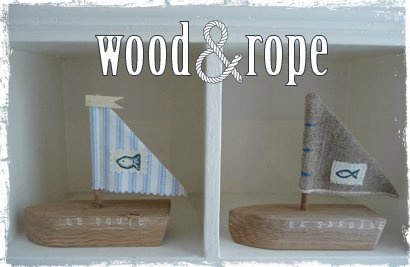 Naturally it was going be nautical style! 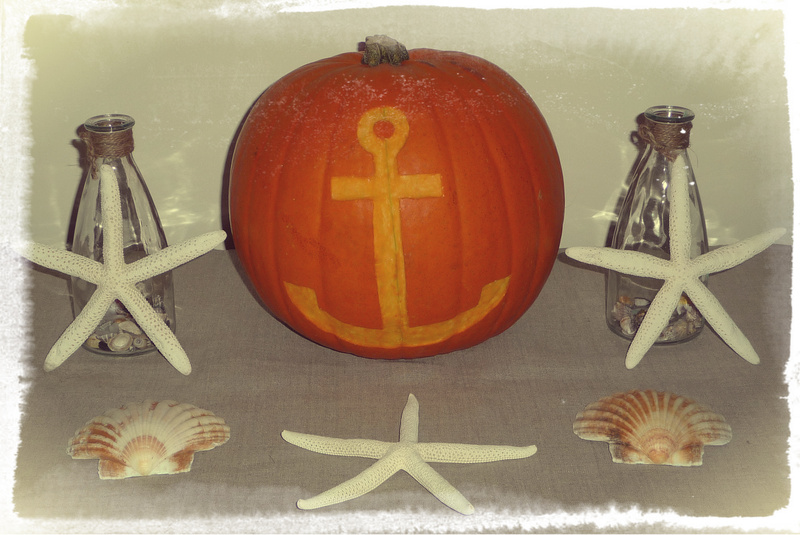 I decided to use an anchor shape. 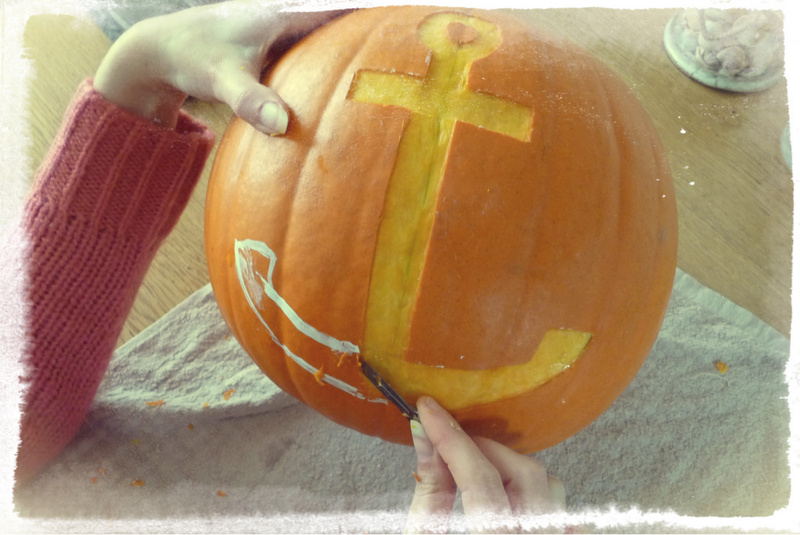 To make yours simply paint an anchor and then carefully cut around the painted outline with your knife (I used a craft knife). 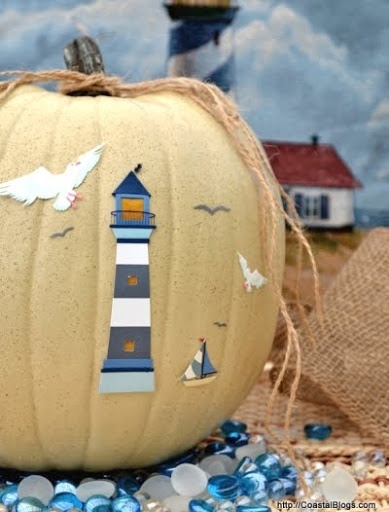 I wanted to carve away just the top layer of the skin, but if you want to cut out the shape of an anchor you will need to remove the inside of the pumpkin first. 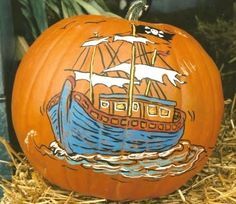 You will need to buy a fairly big/tall pumpkin for this design. 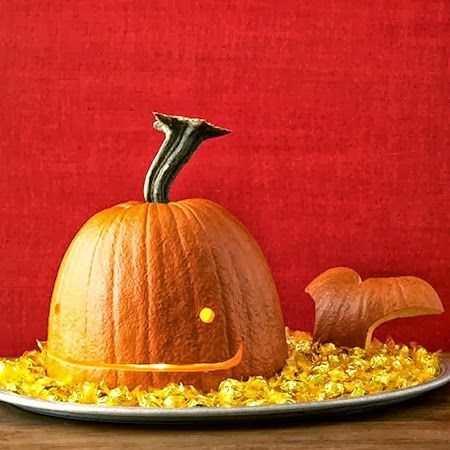 I hope you have fun making yours.